I would like to order sweater, tank top, and scarf. Where can I get these items? 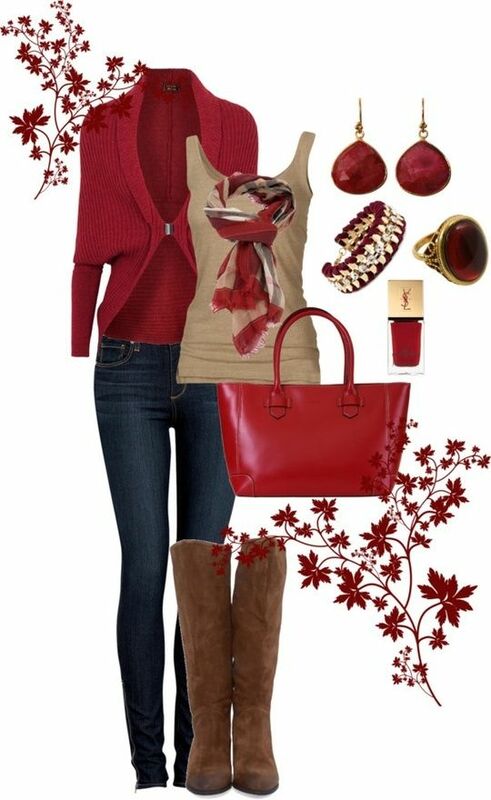 Love this outfit: could u please tell me where I can get the sweater and scarf? Where can I find these outfits? I found the sweater yikes! Very expensive! I created this outfit on polyvore..if you look it up it tells where you can purchase each item. This is a total win. Because it\’s a neutral dress, you can wear ANY color belt and it would look fatsatnic. I like the red in the earrings – red and purple is a great color combo.You look fatsatnic! I would like to know where I can get this. love it! Where do I get the sweater, scarf and tank? Anyone know where to find the sweater??? Love the entire outfit! Where can I purchase? where can i purchase or order this outfit? I LOVED this outfit for the holidays! So much so, that I found most items on my own. SHARING~ Jeans: American Eagle Outfitters Boots: Ugg Sweater: I have found that if you google red ruffled sweater, you will find choices that are even nicer than this picture. Scarf: featured scarf is Burberry. It runs about $530 (YIKES). I found a few with similar colors. (google the colors that you like-red/brown/cream) and millions of choices will come up. Jewerly-kholes.com has some nice chunky red/gold pieces. Hope this helps everyone! I have finally completed purchasing this outfit today…!! Would love to know where I can purchase this outfit and accessories. Where can I get the tank and cardigan? Where can this outfit be purchased? where can i find this sweater and boots? I really like the sweater and scarf. Can you tell me where I can buy this and if the sweater comes in other colors?